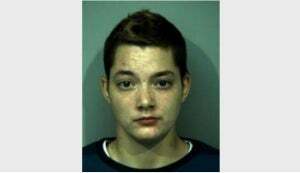 While searching a wooded area after a report of someone hearing a person in distress, York-Poquoson (VA) deputies found a 15 year-old girl with a person who identified theirself as a 15 year-old boy, which was later discovered to be a 21 year-old woman who had been having a sexual relationship with the juvenile. Stephanie Marie Griffith has now been charged with seven counts of sexual battery and one count of crimes against nature for their extended relationship, along with one count of piercing a minor. Authorities are also asking anyone having information about other victims of Griffith or her "Seth Walker" identity to call the local Crime Line.